The Brooklyn effect. It's a term I hear thrown around more and more. It seems that in this day and age the brand of "Brooklyn" really does stir up some excitement in people. In fact, there is a store now open in one of the exclusive shopping centres of Paris called, you got it, "Brooklyn". It has t-shirts, artisanal jams and wool hats - things you would apparently find in Brooklyn with ease. The funny thing is, the Brooklyn effect, whether you live in Brooklyn or not, has become synonomous with living in a hipster neighbourhood with funky artist spaces, experimental restaurants and stylized general stores. I'm sure there are hundreds of neighbourhoods in the Western world who have taken this track. I've heard this term used to describe a number of neighbourhoods in Toronto from The Junction, the Junction Triangle, Leslieville, Kensington Market, and Trinity Bellwoods. The Brooklyn Effect encapsulates a neighbourhood that has risen from humble or scrappy beginnings to become a centre of cool with distinctive independent businesses all around. Loosely defined, you could say the Brooklyn Effect takes place anywhere there is a migration of younger to middle aged professionals priced out of other pockets of the city. It brings creative bohemians, sometimes with money, to an urban area. But to really understand this phenomenon, let's look at Brooklyn's recent history. Back in the 80s, to say you were from Brooklyn would make you cool in a kind of don't-mess-with-me Lether Tuscadero way. You might come off with a little more street cred. Then Manhattan became full. Too expensive for most New Yorkers. 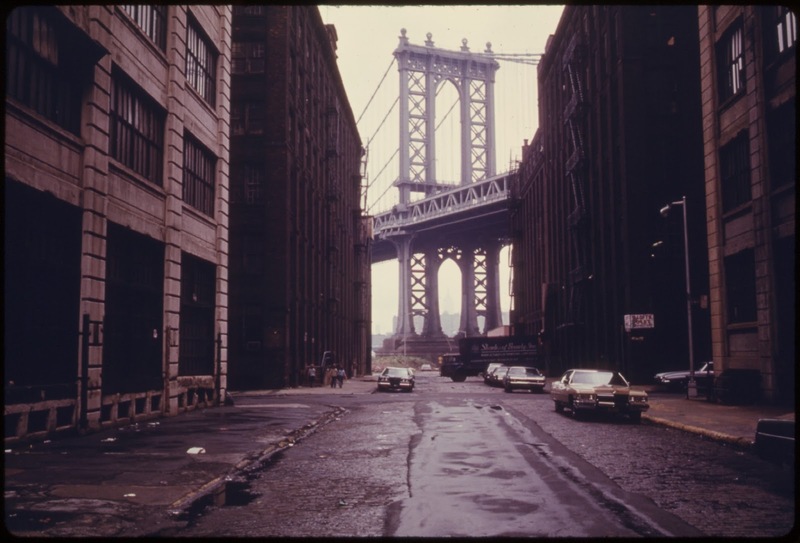 So, many set their eyes on Brooklyn, right across the bridge. And wow, the change was swift. So swift that Brooklyn itself may have eclipsed Manhattan as the centre of cool in New York. Some may see this as a simple form of gentrification. And in some ways, that's all it is. 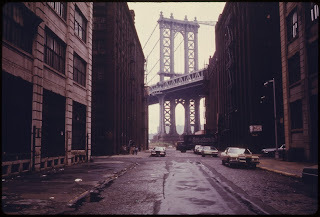 Still, I think there is a certain hipster factor when people talk about the Brooklyn effect. It attracts a certain creativity, an independent spirit to form some kind of community based on experimental small businesses, galleries, and artists mixed with Yuppies. There is an open attitude here. New York is a good reference point when talking about real estate trends. People use New York neighbourhoods as reference points because everyone knows them, and in many cases, the trend setting starts in places like New York. I still see the term Manhattanization thrown around a little too. This suggests something much less charming and much more wealthy. It is a high density, high demand neighbourhood. Not just some cool restaurants but a dense, human filled place. It's a much more extreme gentrification. Most of downtown Toronto could be seen as undergoing a certain Manhattanization with the density that has been building over the past twenty years. So, what if you don't want to live in the Manhattan or Brooklyn of Toronto? What if the idea of living around too much hipness makes you roll your eyes to the back of your head. Well, there are plenty of options here in Toronto. The old suburbs of Etobicoke and Scarborough could offer more space and privacy but with more of a car culture vibe and often (but not always) not many main streets around for walkable shopping. Perhaps the established neighbourhoods of the Beach, the Annex and Leaside are your speed. In the end, you have to pick a Toronto neighhourood based on what kind of life you want to lead. In my opinion, those Toronto neighbourhoods that do have the Brooklyn Effect will be fantastic investments. If space is your thing, then the old inner suburbs of Toronto could be your destination. If you think you can't afford the currently Brooklynizing hoods, then you could gamble on the next Brooklyns: The Toronto neighbourhoods of Weston, Danforth Village, Little India or parts of Hamilton like Gage Park. It's very early days for some of these Brooklyns though. Honing in on emerging Toronto neighbourhoods, urban transformation, and investing in the right home. Click here to read my full bio.